A. PAULSON: (after a long laugh) Great question! In response, I’ll tell you a story. Fourteen years ago one of the investors from Moscow agreed to invest million dollars in the project Afisha. That was right after the crisis in 1998. At first, he promised to give me million, but then he began getting nervous and started to doubt saying his children were going to starve due to me. In response, I told him: “Let’s do it this way. You’ll transfer hundred thousand to my account and I’ll return them to you in order to prove that I believe in the project Afisha and that I need an investment, not a present. If I won’t pocket money, but return it to you, you will invest 1 million in Afisha. He agreed. E.SUROV: So, he gave you money? A. PAULSON: Yes, he gave me one million dollars; four years later we sold Afisha for 30 millions. That’s a good investment, isn’t it? But I’ve been telling him this story two weeks ago and explained how wrong he was. That’s because while the question is being asked only theoretically, it’s pointless to discuss the amount. I could be telling him anything until he transferred money to my account, but as soon as I got money, I also received an opportunity to make a decision: to pocket money or to give it back to him. So, I propose the author of the question to transfer ten million dollars to my account (or any other amount of money he considers worth of the experiment) in order to see what I will do. So, these are just talks now and it doesn’t matter at all what will be my answer to this question. E.SUROV: You have sidestepped the question very adroitly. A.PAULSON: Yes, my answer was quite tricky, but you can try to ask the same question but in a different way. We can continue playing this game. E.SUROV: But Afisha and chess are different things. You knew (or you thought you knew) how to sell Afisha. But to sell chess – that’s different. A.PAULSON: You consider that the person should be doing the same thing for his whole life, don’t you? But isn’t that boring? E.SUROV: But why chess? Aren’t there things easier to sell? A.PAULSON: If I’d start to sell carrot, then the person at the market would ask me: “Andrew, you know how to sell fish. What do you know about the carrot?” When I came to Russia Afisha didn’t exist. Firstly I created it and then sold. I’m not going to sell chess. At first I want to create something and only then to think about selling that “something”. A.PAULSON: Oh! That’s a good question. Read my interview to The Times in which I gave a detailed explanation to what I’m going to create. E. SUROV: Do you mean those four points you mentioned while answering the question about Levitov? A. PAULSON: Exactly. That response contains my plan of actions which is quite clear and transparent. E.SUROV: But look, for example, the first one: making World Championship, Grand Prix regular, clarifying the dates, fixing the calendar and so forth. You’re mistaken if you think you are the first person who started to talk about that. A. PAULSON: I don’t think that I’m the first one. E.SUROV: That has already been tried, but no one has succeeded so far. A. PAULSON: I believe I can do that. In any case, time will show. E. SUROV: You said you were able to convince Ilyumzhinov’s team. So, I wonder: how did you manage that? Here’s “truculent Greek called Makro and lugubrious Englishmen named Nigel” (your words). What did you do? What did you say? A. PAULSON: How did you convince your wife to marry you? A. PAULSON: That’s absolutely the same. However, I’m sure that your wife had better attitude towards you than FIDE had to me. A. PAULSON: It was a seduction. E. SUROV: So, is that marriage of convenience or love match? A. PAULSON: I guess it’d be more correct to ask: “Why Mr. Ilyumzhinov decided to give me an opportunity to do this project?” Not “How I convinced them?”. It was just a seduction. It was magic. I don’t know that either. It is art. How did I convince Mamut to give me 100 million dollars? How could I convince another investor to give me million right after the crisis? That is my job – to build a company, to gather investors. And the most interesting question: why FIDE agreed to “marry me”? 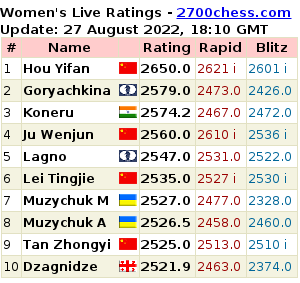 Of course one can criticize Ilyumzhinov as the President of FIDE, but in general the situation in chess is not that bad at the moment. The only serious claim he is asserted is that there haven’t been good tournaments, matches for the world championship, which would take place in large European cities during past fifteen years. When was the match held in Europe last time? Okay, there was one in Bonne in 2008. But before that? There were some in America, South America, in small Russian cities, but not in Europe. This is the only weak spot in the activities of FIDE and as Ilyumzhinov, so the others understand that. They offered me to help them solving this problem. E. SUROV: Does that mean they wanted the major tournaments (Grand Prix and others) to be held in the best European cities? A. PAULSON: That’s only one of the reasons. In fact, there are more reasons. For example, the question “How to make the international championship more attractive” needs a response. E. SUROV: You just said that Ilyumzhinov did quite well during last fifteen years, so did you follow FIDE’s activities? A. PAULSON: No, I didn’t. I’m not a professional chess player. I’m playing chess as other 500 million people in the world – without FIDE. Only Grandmasters and journalist are obsessed with FIDE, but 500 million people don’t follow the work of this organization. People who just love to play chess are not interested in politics. E. SUROV: Well, I’m asking you from a perspective of chess players not 500 million people. Chess players don’t know you, so they think: Who has just come? Why does he promise wonders? Actually, why should anyone trust you? You managed to convince FIDE somehow, so maybe you’d also try to convince chess players? They don’t believe in three-year plans. A. PAULSON: There’s only one way to convince them. If you have betrayed your wife once, twice, for the third, fifth time – how can you convince her that you’ll be faithful from the defined date? If the person has lost his faith, the only way of getting it back – time and experience. How can I convince those players that everything will change? Only with time. Is it possible to respond in a different way? E. SUROV: I don’t know. E. SUROV: By the way, why London? E. SUROV: Why not Paris or Rome? A. PAULSON: There will be Paris, and Rome. Why not start with London? E. SUROV: A question that’s been asked by many: what money are you going to use? A. PAULSON: I’ve answered it in my interview to The Times. In fact, that’s not a large amount of money and it belongs to me. If a larger amount will be needed, I will find investors. E. SUROV: As you said in the interview you’re going to manage day-to-day business yourself, unlike Kok and Kaplan. What exactly are you going to do? What will be your daily work? A. PAULSON: There will be new tasks every day. For example, you have a website. What are you doing on it? A. PAULSON: So do I. If there’s garbage that needs to be thrown away – I will do that. If the office needs to be repainted – I will either repaint it myself or find a person who will do it for me. If it’s needed to talk to the mayor of London – I’m going to him. In addition I have people working with me. E. SUROV: So, you’re only into it now? A. PAULSON: Basically yes. In addition I have several few charitable projects. E. SUROV: You mentioned that you were previously interested in FIDE. Since you’ve linked your life to chess, are you following tournaments, games, players more often? A. PAULSON: I think that the game between people playing in the park isn’t obviously less interesting than the game between, for example, Carlsen and Anand. 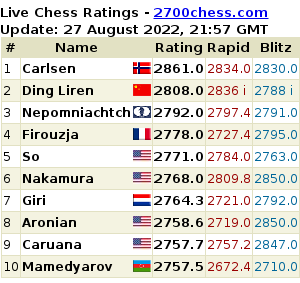 The fact that they’re number one players in the world doesn’t mean that their single game will certainly be more interesting than the game between chess lovers. Maybe match, but not the single game. The concept “chess” is very versatile. The tournaments with famous players – that’s only one side. There are people who are fond of teaching children playing chess; others are interested only in the history of this game; there also are people who are interested only in artificial intelligence – e.g. different machines, Rybka so forth. From the professional point of view I’m of course interested who is playing better, what we can do in order to improve conditions for players, spectators… But questions like – who’s first, second and similar to them – are not of a greater interest for me than how to organize world championship cycle. E. SUROV: Am I right, FIDE started to negotiate with you in August 2011? E. SUROV: Thus, the whole official procedure – submission of the applications and so on – was initially pointless? Were Azerbaijan’s and Bulgaria’s applications doomed? Was it already decided where and when will the Candidates Tournament take place? A. PAULSON: No, nothing was decided. How to respond… This question can have bureaucratic, legal and practical answers. E. SUROV: Better just truthful. As it is. A. PAULSON: As a journalist you should understand that there’s one answer on a surface, but there will be another one if you’ll look deeper. I can talk about that for thirty minutes if you wish, but that will be boring. So, I have to find a compact answer. The members of FIDE Presidential Council in the United Arab Emirates voted hundred percent “for”. If it was 100% “against” – it’d be a different pair of shoes. But that’s how the Council decided. And now in August FIDE will check the contract in Istanbul. So, you see that’s not an easy response. E. SUROV: That’s a bureaucratic answer. A. PAULSON: Here you go. Now a legal one. I couldn’t sign the agreement with FIDE before CNC has conveyed part of its rights. That’s why even after the voting in Emirates I had to wait for three-four weeks until Kaplan agreed to work with me. That’s regarding to the agreement. You’re asking me about the choice of the venue of the tournament. But I’m not FIDE to respond you. I have my version of the choice and I presented it in that interview to The Times. However, I’m not informed. E. SUROV: So it’s better to ask FIDE? A. PAULSON: Yes. Nothing’s decided. And even the things you consider are already decided – aren’t actually decided. I haven’t talked to Azerbaijani people. We don’t have an agreement; all that is still ahead. E. SUROV: So, you haven’t talked to Azerbaijani at all? A. PAULSON: Saying “at all” is also wrong. It’s better to say that everything’s in progress. We haven’t agreed on anything yet, we haven’t signed anything. But, of course, there’s a contact. E. SUROV: But do you want the agreements with Azerbaijan to be signed? A. PAULSON: Now that’s interesting, because there’s an opportunity to work together with Azerbaijan, as Ilyumzhinov has said. But that’s only a possibility. We’ll see. You may decide to arrive here in a minute, but in larger organizations it’s not that simple. E. SUROV: Whose mind was crossed with the idea of combining Azerbaijan’s application and your idea of the tournament in London? A. PAULSON: I can’t give you a direct answer because the question has inaccuracies. I’ve been offering to organize event in London. FIDE decided to work with me. Azerbaijan, Bulgaria… I’m not in formal relations with any of them. So, I don’t quite understand your question. E. SUROV: It sounds like you have just offered your project to FIDE, which agreed to work with you, while their relations with Azerbaijan and Bulgaria is not of any interest for you. A. PAULSON: I’m not into it because I want to avoid conflicts. Did you ever wonder why Azerbaijan wanted to host the tournament? E. SUROV: Where else are they supposed to host it? A. PAULSON: Why did they want to do that? E. SUROV: They generally want to host a lot of tournaments. E. SUROV: Perhaps, they should be asked that question. A. PAULSON: You should ask them this question. E. SUROV: … maybe that’s because they want their player to participate in the Candidates Tournament. A. PAULSON: Why is it so important? Why should the state spend tax money, money of Azerbaijani on this nonsense? E. SUROV: You consider chess is nonsense? A. PAULSON: No. but do you think that’s the right way of spending money? You’re a citizen, you pay taxes and you think that it’s spent properly – on army, defence, poor people, streets and so forth. That’s normal. But organizing chess tournaments? Why? E. SUROV: What would be your answer on this question? A. PAULSON: That’s your question, I’m not a journalist. E. SUROV: My job is to ask questions. A. PAULSON: No, your job is to try to better understand the world. And, tell your readers how it works. E. SUROV: In order to tell I have to learn. A. PAULSON: I’m not the one who can answer that question. E. SUROV: But you asked it. A. PAULSON: I’m just interested. E. SUROV: So, you’ll be in contact with Azerbaijani side – maybe you’ll ask them that question? A. PAULSON: Currently I’m carrying out a great work. I’m spending a lot of money and time on convincing the leaders of the major cities to invest money in chess. That is a serious scientific process. Why should Paris give 100 thousand, 200 thousand or million Euros for the tournament? Or Moscow – for the World Cup? In the case of Moscow, by the way, there’s an awkward situation between investments and sponsorship. We can divide investment of money in chess into three types: investment for money, sponsorship for non-material profit and simply charity. E. SUROV: Which category do you belong to? A. PAULSON: I’m a businessman. That’s evident: I’m investing money and I want to gain profit. E. SUROV: So, who’s the owner of AGON? E. SUROV: Danailov’s people checked the open data and found out that officially the company is owned by two firms, while your name doesn’t appear anywhere. A. PAULSON: Danailov’s people didn’t read the agreement attentively. They accused me that the company AGON was created in January – after the members of FIDE Presidential Council have received the contract. If Danailov would have read it carefully, he would not have made such accusations: the contract says that I’m obliged to create a new company which will be working exclusively with FIDE. E. SUROV: And what about the owner? A. PAULSON: A company, when it’s created, also needs a name. I found out if I could register the company named AGON in Jersey. When I got an affirmative reply I put the name AGON it the contract. I didn’t want to spend money on its creation before it became known that my offer to FIDE was accepted. Why should I create the company if it was unknown will I sign the contract with FIDE or not. When it was clear that the agreement would be signed I called my lawyer in Jersey and asked him to start registration of the company. As a result he created the company and included partners in the stockholder membership. I haven’t had time to change anything. So, that is just a banal bureaucracy. It takes some time to create a company. First a name, then registration, charter, documents, bank account… all that needs time. It seems to me that even if this information is of any interest, surely not for the chess website but for the magazine “The Chief Accountant”. Those who accent on these questions are using a typical method of propaganda – sowing doubts in people. E. SUROV: To sum up: this is your company created especially for serving the chess related tasks. That’s all? E. SUROV: By the way, Wikipedia says you lived in Istanbul for a long time. Is that true? A. PAULSON: It’s not a fact that Wikipedia says so. E. SUROV: Russian Wikipedia – for sure. A. PAULSON: Oh, Russian?! I don’t read it… I didn’t even know there’s an article about me in Russian Wikipedia. I’m really surprised. No, I lived in Istanbul for three months. E. SUROV: I still can’t forget that question: why Azerbaijan invests money in chess? That was your question and you don’t want to answer it. A. PAULSON: Why, for instance, Kaplan invests money in chess? Why did Filatov give money for the world championship match in Moscow? That’s a serious question. How do you think? E. SUROV: Not to me. I asked that not because it has just crossed my mind and seemed interesting, but because it was asked by Danailov. And if it happened so, it means that society is wondering that too. Now everyone knows your answer. And everyone will make his own conclusions. A. PAULSON: It’s hard to make money on chess. When I have just come to Russia and started to describe my plans to the familiar Russian businessmen, they all told me: “Andrew! If you’re so smart, why are you so poor?” Now they understand that it’s a stupid question. It demonstrates provincial and primitive world-view. If I wanted only to make money, I’d be a banker. Everyone needs to choose how he wants to live and work. I chose to work in this chess project. It’s not connected to money. E. SUROV: Nevertheless, you said that your aim is to make money. A. PAULSON: No. My goal is to live right. E. SUROV: When I asked you, which from the three categories you defined, you belong to, you said – to the first one. A. PAULSON: From those three categories – yes, I put myself in the first one. I’m investing money and I’d like to profit. But the profit is not my main motivator. I chose life and work in chess world, because I’m interested in it. Life is short and one should be doing the things he is interested in. That’s why, going back to the very first question – yes, it’s funny, but it’s not serious. Firstly, because the question is only theoretical, secondly it implies that my interest is based only on money; and that is not true. Andrew Paulson Arrived To Istanbul Giving Compliments To The Organizers: "Everything is nearly perfect"
According to the transcript of Andrew Paulson's press conference, which was published on the official website of the Olympiad, the head of AGON is satisfied with the organisation of the event.